How is Pepper, SoftBank’s emotional robot, doing? Pepper is a child-height human-shaped robot described as having been designed to be a genuine companion that perceives and acts upon a range of human emotions. SoftBank, the Japanese telecom giant, acquired Aldebaran Robotics and commissioned the development of Pepper. Subsequently SoftBank joint ventured with Alibaba and Foxconn to form a development, production and marketing entity for the robots. There has been much fanfare about Pepper, particularly about its ability to use its body movement and tone of voice to communicate in a way designed to feel natural and intuitive. The number of Peppers sold to date is newsworthy. As of today, there are likely close to 10,000 Peppers out in the world. Online sales have been 1,000 units each month for the last seven months with additional sales to businesses such as Nestle for their coffee shops and SoftBank for their telecom stores. At around $1,600 per robot, 10,000 robots equates to $16 million in sales but Peppers are sold on a subscription contract that includes a network data plan and equipment insurance. This costs $360 per month and, over 36 months, brings the total cost of ownership to over $14,000. Consequently many are asking what Peppers are being used for, how they are being perceived, and whether they are useful? Essentially, how is Pepper doing? Does it offer value for money spent? Two recent videos provide a window into Pepper’s state of development. In a promotional effort, Pepper and a SoftBank publicity team came to the London offices of the Financial Times for an introduction and visit. This video shows one reporter’s attempt to understand Pepper’s capabilities and interactive abilities. People in the FT offices were definitely attracted, amused and happy with the initial experience of being introduced to Pepper. They laughed at Peppers failures and patted its head to make it feel better. But, Pepper failed in every way to (1) be a companion, (2) recognize emotional cues, (3) be able to converse reliably and intelligently, and (4) provide any level of service other than first-time entertainment. MasterCard unveiled the first application of their MasterPass digital payment service by a robot. It will be rolled out in Pizza Hut restaurants in Asia on Pepper robot order-takers beginning in Q4 2016. To accentuate the hook-up, MasterCard created this video showing what they hope will be a typical interaction involved in Pepper taking a customer’s order. One might ask what happens in a noisy, imperfect, acoustic environment? What does conversing with Pepper really add to a conveniently placed kiosk or tablet? 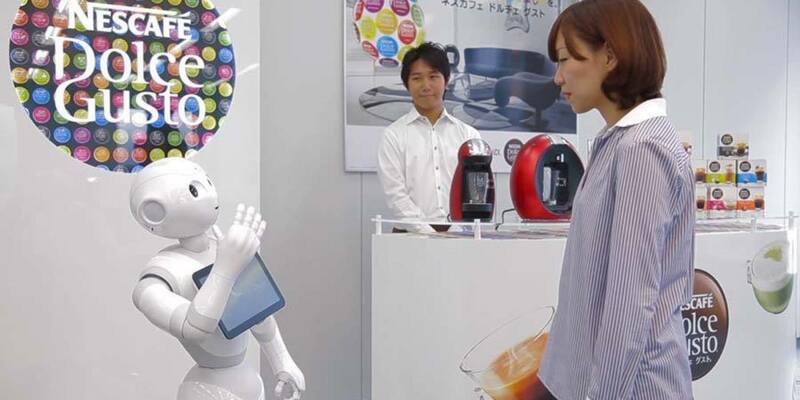 How are Pepper’s emotional capabilities being used in this simple order-taking interaction? What happens if a customer strays from the dialogue the robot expects? There’s no doubt that Pepper is an impressive engineering feat and that it is an advertising draw. However the emotion recognition aspects of Pepper didn’t appear to be important in both videos even though that is supposed to be Pepper’s strength. The entertainment value seemed to be what attracted the crowds. This temporary phenomena isn’t likely to persevere over time. In fact, this was shown to be true in China where restaurants began using rudimentary robots as mobile servers and busbots. In the last few months, however, there have been reports of those robots being retired because their entertainment value wore off and their inflexibility as real servers became evident. The marketing around Pepper may have created expectations that can’t be met with this iteration of the robot. A comparison can be made here to Jibo and the problems it is having meeting deadlines and expectations. Jibo has extended the delivery date – once again – to October 2016 for crowdfunded orders, and early next year for the others. The connection of Pepper to a telecom provider and the sales it brings in the form of 2 and 3 year data service contracts, can be big business to that provider: SoftBank is the exclusive provider of those data services in Japan. 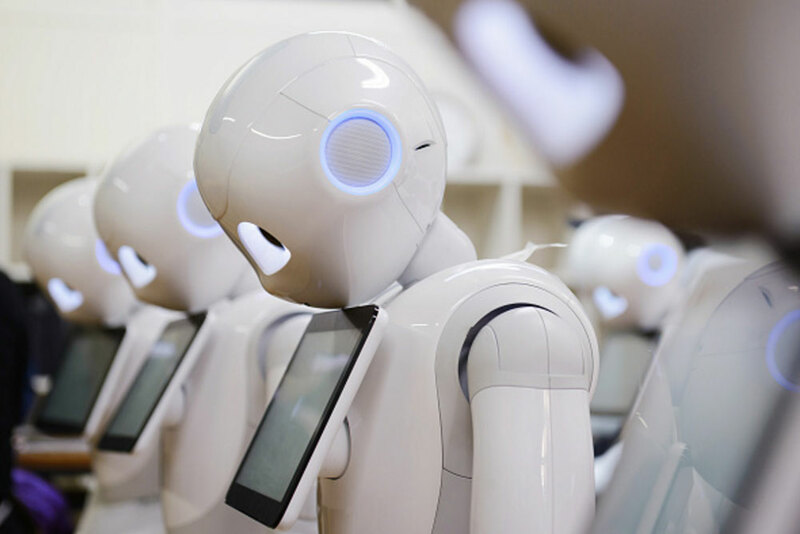 An example of the value of that business can be seen by a surge in share price of Taiwan telecom company Asia Pacific Telecom on news that the company will begin selling Pepper robots in Taiwan.